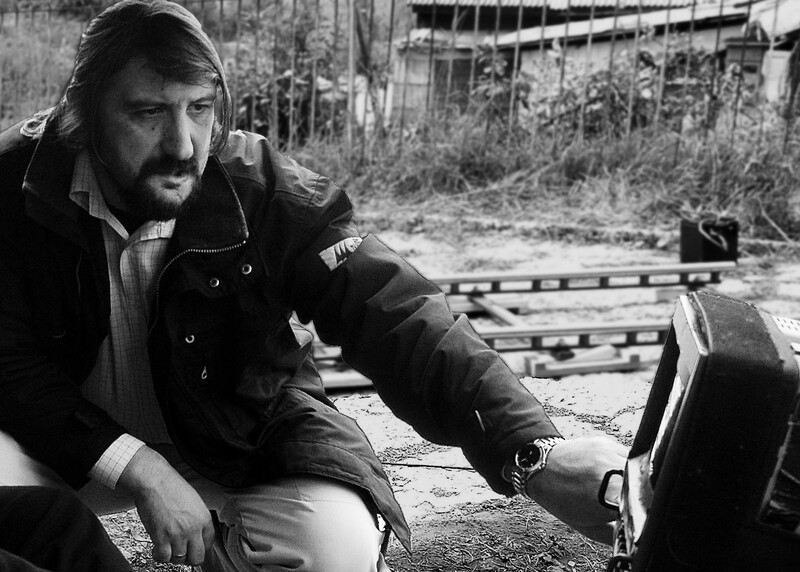 The photo above is from the filming of Nenad Djuric’s new movie, Hiljadarka. I wrote about Djuro’s first movie, Skies above the landscape. Now he’s filming his second! I’m really excited about it because I translated the screenplay into English for him. Like, a million years ago. (He’s since totally changed the whole screenplay. ahhh!) Sometimes it takes a long time for movies to get made. I have a couple of friends making movies now… I’ll be sharing their stories too. Like Ceca who has been working on her documentary for years and Eldin who this year is making his first of a series of short films. Djuro’s movie also really special because our friend Dzanko was supposed to act in it and is in the trailer, but he passed away last year. I was so moved when I heard that the filming will go on. me: Okay. Briefly. The essence of your film. “Hiljardarka” (Thousand-dinar bank note). Djuro: Well, you remember. You translated the screenplay. me: I remember everything, but I want it in your words! The essence. Djuro: What attracted me to the story, its essential meaning, is– that socialism and the worker’s movement, human rights, class equality, is not over yet. It’s just beginning. Hiljadarka, a story about socialism, has never been more relevant than this year. I realized that a few years ago, as I saw what was happening in my country. We can’t get our heads around the end of the saga, the fable of Tito’s communism; it had such a stupid and bitter end. Religious books portray an ideal of their anointed ones; so Hiljadarka portrays my Atif Kurtovic, Zilhad’s [screenplay writer] Atif, as a messiah of communism. He’s an ideal. However bizarre he might be, he’s just as bizarre as any other worldview, once simplified, that we’ve come into the world to suffer and be tested, in order to find for ourselves what we believe is the truth. It’s the same with communism. The main motto was: from each according to his ability, to each according to his need. That was what Atif felt. He came for that ideal. Unconsciously. By chance. But that’s just how communism is. It’s a coincidence which happened to the world. Djuro: What genius? I have no idea how you’ll translate all that, it’s a bunch of nonsense. Can´t wait to see the trailer! can’t to see YOUR trailer, hehe 😉 saljem ti pitanje za glumca! Posalji i dobijes cim prije! I love how you have filmmaker friends! And you translated his screenplay! I hope you put that on your resume– you are so cool and have done so many interesting things. I agree with Julie, you have such an amazing and diverse resume! I just listened to the audio of the interview. So cool!